In Montana, your designer is just as likely to show up in jeans and boots as sporting the latest fashion. 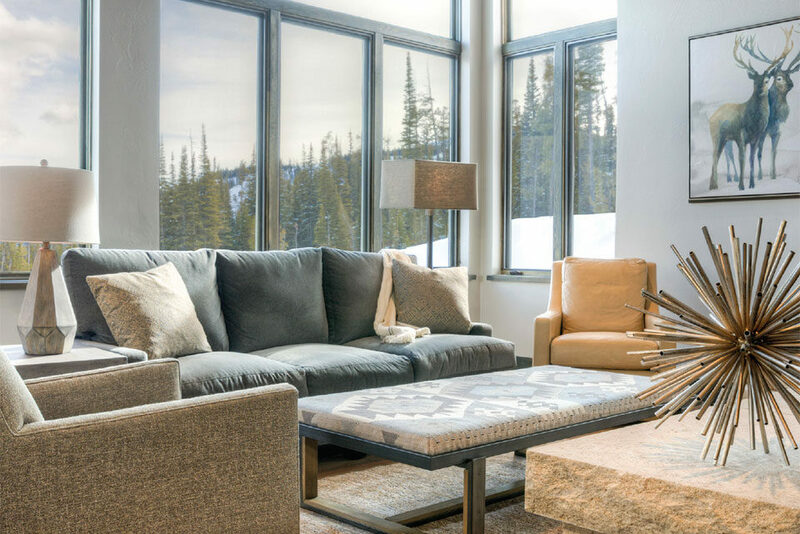 Yes, interior design is about looking glamorous, but in the Rocky Mountains design is also about practical concerns like holding up against the elements, integrating with the environment, and just plain staying warm and dry. WHJ introduces you to four interior designers who are as comfortable in Ugg boots and North Face parkas as Gucci, Louis Vuitton, and Chanel. This fall at the newly renovated RSVP Motel in Bozeman, Aaron Kampfe of Western Home Journal hosted Phoebe McEldowney and Debra Shull of Haven Interior Design, Erika Jennings of Erika & Co., and Rachael Celinski of Gallatin Valley Design Group for a lively panel discussion about interior design in the northern Rocky Mountains. 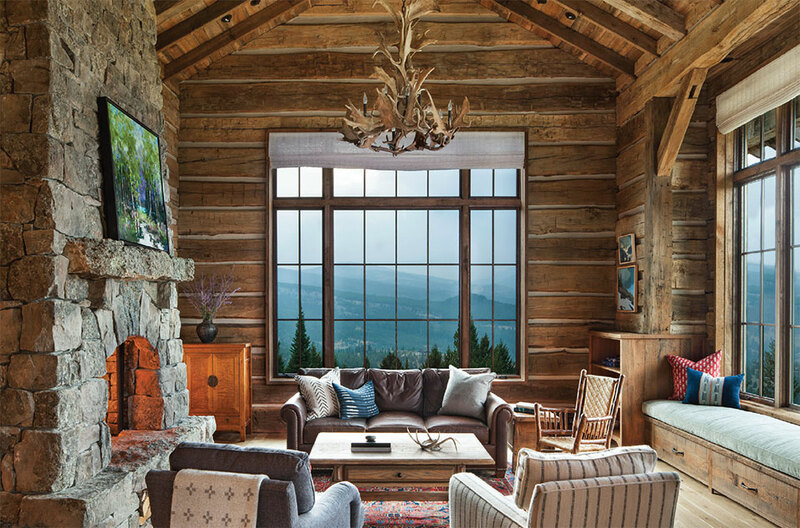 These top designers from Bozeman and Big Sky share their insights and experience designing in the Yellowstone region, their personal approaches to projects, and navigating between the trendy world of design and the practical world of creating timeless, beautiful, and livable spaces in the rugged West. whj: How would you characterize current design in the Yellowstone region? Phoebe: People come to Montana because they are inspired by the landscape. The region hasn’t been overly developed. 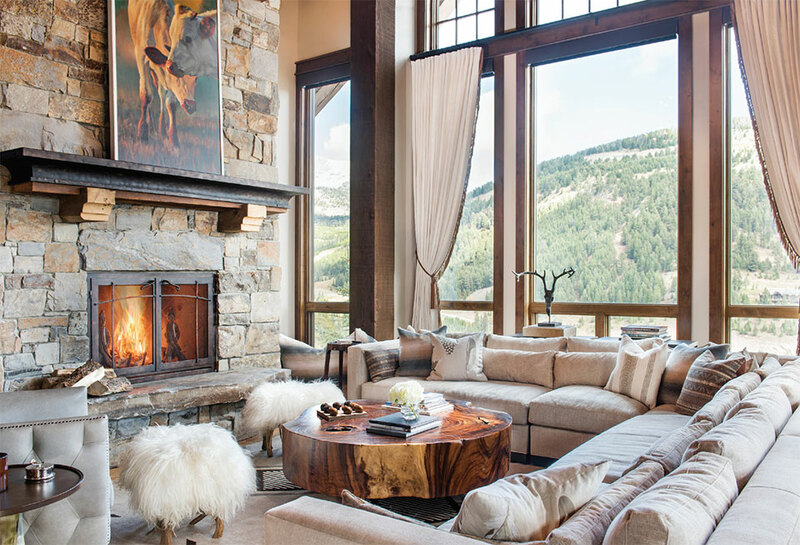 Our clients fall in love with the visual expanses—the mountains, rivers, and ranchland; they fall in love with Montana. The design process starts with a conversation about what has drawn them here and what they want to create. Often times it’s casual, comfortable, and speaks to the past. This is what starts the language of design. Debra: The reason people want to be here is often a very romantic idea. They want to know about our culture and how we live. This part of the West is unique and becoming part of its culture is the dream. That dream, that vision, starts the conversation. Rachael: At the end of the day, it’s about the story—the story of the place, the story of the client, and the story of the design. In order to fully understand the story, we must fully engage and become the clients’ advocate throughout every step of the design process. To do that, we have to understand their lifestyle, interests, and background in order to know what appeals to them not just aesthetically but also thinking about overall practicality and functionality. I begin by learning about each client and my hope is that I can thoughtfully blend their wish list and dreams with a truly innovative design approach. Debra: We hear stories about someone coming here as a teenager on a hiking trip or working in Yellowstone. When they come back as adults they are so enamored that the region is still the same. While Bozeman and Big Sky have grown, the place essentially remains the same and you don’t have to drive far to access nature and recreation. whj: What are some misconceptions about the interior design field? Erika:: Good design is not a fast process. Over the years I have found that a project is most successful if we have the time to get to know each other. We don’t just “go shopping” and load a house. That is one of the common misconceptions. We truly do think about every detail—every piece of every element and every finish. It may seem really easy to make things look really pretty. If we do our job well, we make it look easy, but the reality is that it is far from easy. Phoebe: The relationship we create with each of our clients is paramount to the success of the project. Trust develops over time and we let the creative process evolve organically. Erika: The client has a vision. The architect has a vision. The builder has a vision. The challenge as the interior designer is to pull it all together. 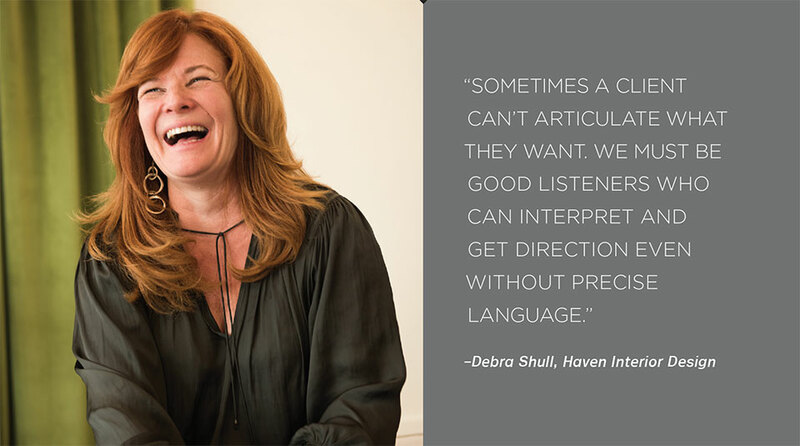 Debra: Sometimes it’s hard for a client to articulate what they want. We must be good listeners who can interpret and get direction even without precise language. One of the best compliments we have received was on a project in Paradise Valley, when the client said, “This is exactly what I wanted.” Although at the beginning he didn’t know exactly what he wanted. 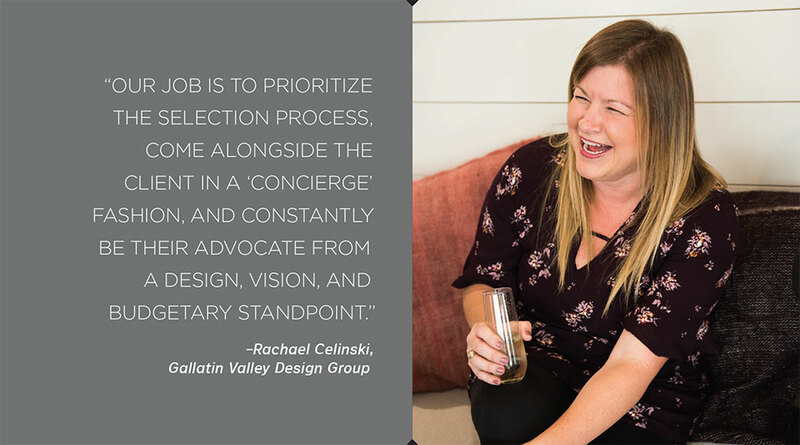 Rachael: One of the biggest misconceptions I hear is that “interior design is easy.” The design and selections process can be slightly overwhelming, so our job is to prioritize the selection process, come alongside the client in a “concierge” fashion, and constantly be their advocate from a design, vision, and budgetary standpoint. 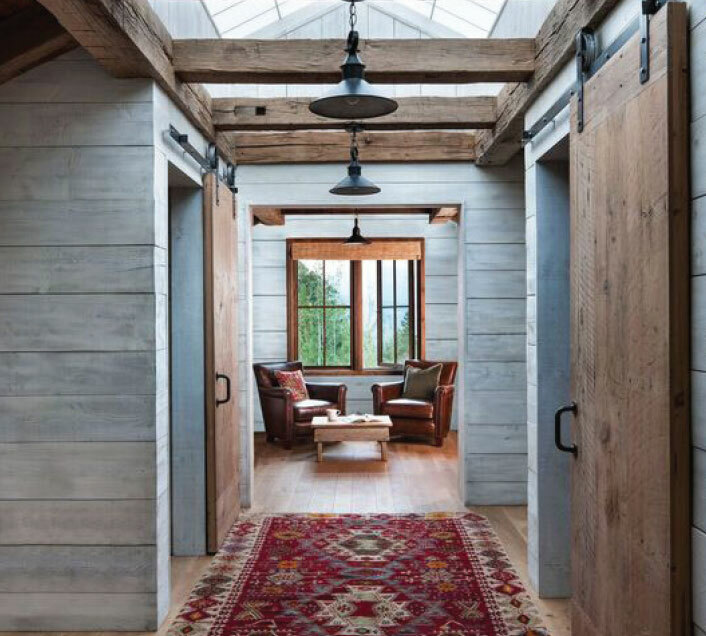 whj: Pick a home and give me that home’s design narrative. What story does that home tell? 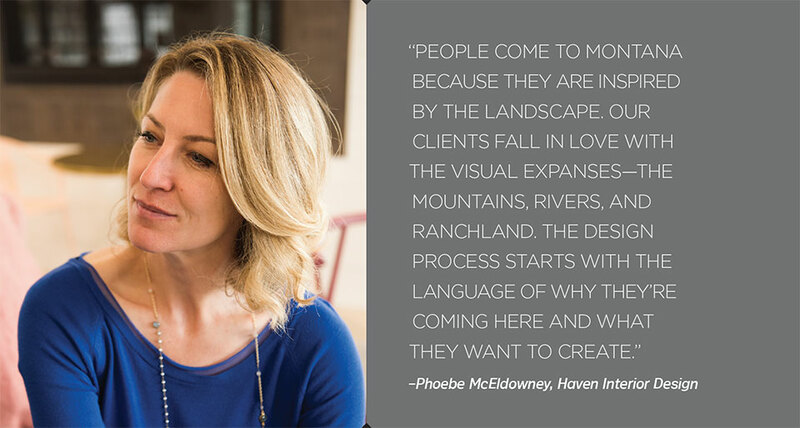 Phoebe: The story and lifestyle of a client starts the creative design process for a home. People might think the projects we work on are similar, but they’re not. Our projects start with a unique location, whether it’s a ranch, river, or mountain property. It’s the contrast in these locations that makes each project unique. Rachael: I am working on a project in Big Sky with a view of the iconic Lone Peak. Out the back door is the ski lift so you can’t ask for a better location. The clients are from Florida and while the husband and wife have very modern taste, they are also very realistic and budget-conscious since the home is a rental. The wife has very modern and fancy taste and the husband is very realistic and budget-conscious. The design challenge was how do we integrate the modern elements into a vacation rental home. A few weeks ago, we presented to them and showed them all of their tile, appliances, countertops, furniture, lighting, exterior siding… just about everything. Ultimately, we were able to thoughtfully blend the modern with the practicality of the home being used by renters throughout the year. We paid close attention to adding trundles in the custom bunk beds for sleeping extra guests, among many other ideas. Both the wife and husband were thrilled with the result. Erika: We are definitely therapists, design therapists. I had a similar situation with a house in Spanish Peaks in Big Sky. But on this particular project I worked with the husband primarily. The wife is an East Coast gal with feminine tastes but acknowledged that this was his retreat—a gentlemen’s retreat. Bring the guy friends. Sleep as many people as possible. Let the kids create a little havoc. The design was very clean and uncluttered, a Montana masculine feel but with some femininity in the periphery. While the wife had “let go” of the process, we still incorporated some texture softness that she appreciated. Debra: We had an interesting project in Utah with two business partners—oil guys from Texas. They purchased a large ranch as a hunting property. The location is very remote, miles of rolling hills lead to a high-elevation ranch, not on the way to anywhere. 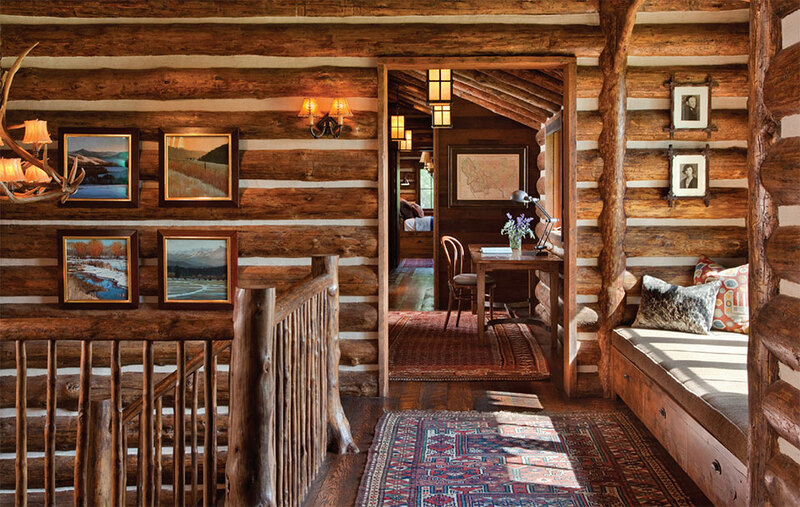 Phoebe: One of the clients wanted a classic rustic cabin—wood walls and floors, casual and comfortable. The other client wanted a rustic cabin but clean, more refined. Their needs were as different as their personalities. 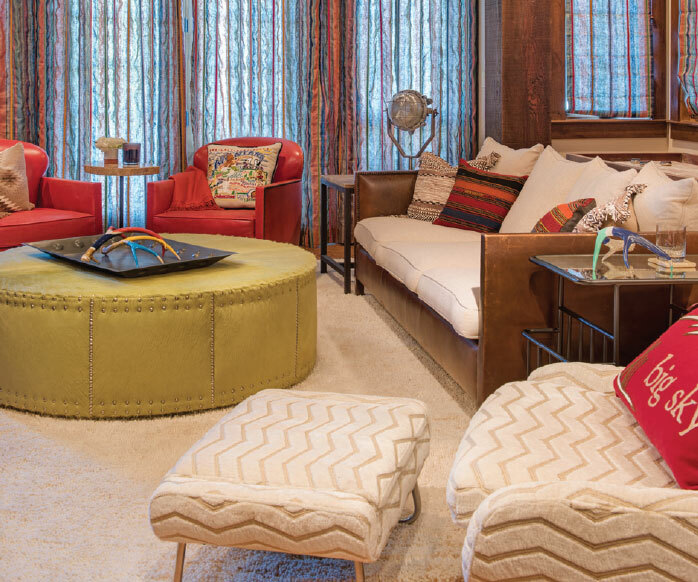 Debra: At first their wives weren’t overly interested in the ranch as initially it was a man camp and hunting outpost, however, as the design evolved and the houses started to look and feel beautiful, they were excited to be part of the creative process. Phoebe: When we were working at the ranch, Debra and I stayed in a place called “the barn,” a true bunkhouse. We slept in bunk beds with sleeping bags and shared one bathroom with the team. The clients commented that “designers in Dallas would never come up here.” Not only did we have the challenges of a remote location, when we installed we had to drive across a creek to access one of the cabins. 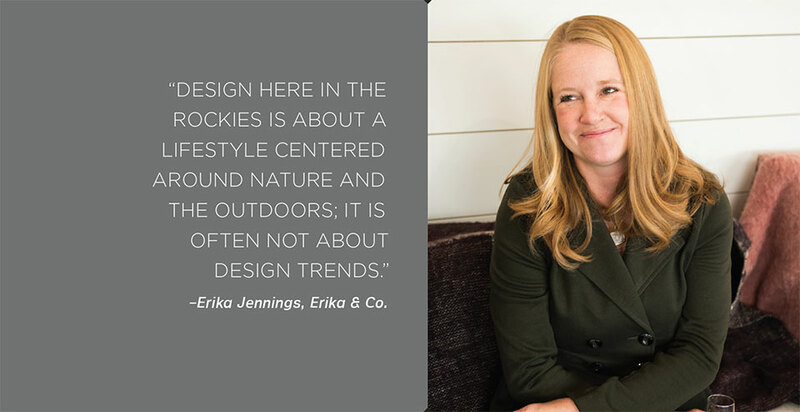 Erika: Montana designers are not intimidated by rough and remote environments. I’m currently working on a lodge in Minnesota in the middle of nowhere—three and half hours from Minneapolis. Well, a Montana girl isn’t intimidated. I show up in my boots and am ready to work. whj: What is the most fun part of your job? Phoebe: In addition to the design, we spend a lot of time planning, strategizing, and organizing. During the installation there is a fair amount of chaos with trucks, deliveries, and a team of workers. Once all the furnishings are placed, we accessorize and it’s one of my favorite phases. Debra and I go into a zone and we’re placing and talking or sometimes it’s unspoken. There’s a magic moment when things come together and you see the fruition of all your work. It’s incredibly exciting and gratifying, an amazing place to get to. Debra: Being able to work with a team of talented people to build these custom houses is very rewarding… architects, contractors, sub-contractors, and craftspeople. It truly takes a strong crew to make it all work. Erika: Being invited back to the home—whether it is for a casual BBQ or fancy cocktail party—and seeing it function is super cool. Seeing the owners use and enjoy their space is so gratifying and so much fun. Debra: We love nothing more than to create a home for a family where they will continue to create memories. Of course, I love the reveal. The visions that have helped shape the house get revealed and all of the details come together. Seeing all your hard work take shape… tile, flooring, furnishing, accessorizing… and seeing the client experience it is both very rewarding and very fun. whj: Share how furniture selection is incorporated into your process. 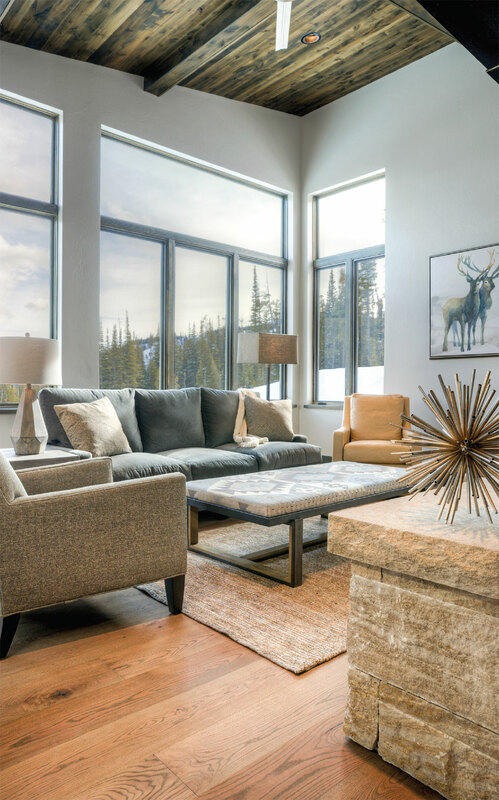 Rachael: At Gallatin Valley Design Group, we are the interiors division of Gallatin Valley Furniture, so we have a little bit of an advantage. We have access to the showroom with furniture, fixtures, area rugs, window treatments, fabrics, trim stains, steel samples, paint, etc. For example, a client will ask, “This chair looks fantastic, but is it comfortable? Is the leather soft? What is the depth like?” We can bring the client through the showroom so they can see, touch, and feel their selections. Having the resources there at my fingertips is an advantage. “Come sit on this sofa. Come feel this texture.” Our goal is to make sure every detail in your home is completely tailored to you. One of the differentiating factors that I can bring to the design is having an architectural edge/background and seamlessly integrating that into the designs from the start. Focusing on the selections and incorporating them into the architectural plans is a bonus for the client. Sometimes we may reconfigure a space to a particular furniture product depending on its size, shape, or form. Working with the client, builder, and architect creates a true dream team approach. Debra: We like to combine custom furnishings with unique finds. Sometimes these are pieces clients bring to the project or they are things we have come across in our travels. These pieces infuse a home with a wonderful sense of character, so it doesn’t look overly decorated. whj: What is the role of art in your process? Phoebe: Art is a very personal statement and reflection of the client. We tread very lightly. Sometimes they’ll come with their own collection and we help them complete it, knowing the space they have. We like to introduce them to galleries and artists. We’re sensitive about mixing genres, mediums, types, and styles, and working with the client to create balance. 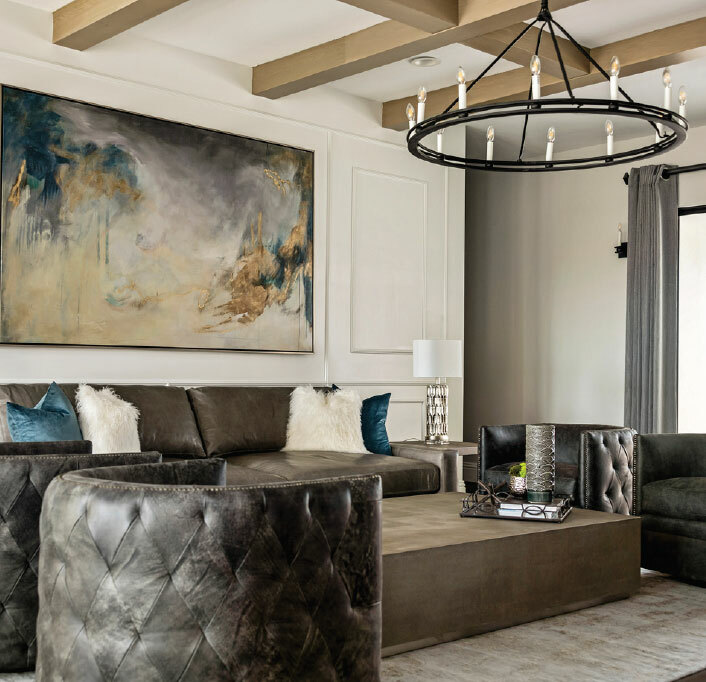 Erika:: I often start a project by asking about my client’s art taste or if they have something that has inspired them that we could use to set a “feeling.” A rug, sculpture, light fixture, or even a pillow could be a client’s muse. Their art helps me set a style for the space. I ask them to keep in mind what grabs them as they’re out shopping, visiting galleries, or even experiencing nature. When they share with me what has inspired them, I learn more about their tastes and I incorporate this into their home’s design. Debra: We have a client with truly a museum-quality art collection… Bierstadt, Remington, Matisse. To ignore her art is to ignore her story. On one hand we didn’t want the home to look like a museum and, on the other hand, we wanted to showcase the pieces. The challenge was to still make the home feel comfortable and relaxed in the presence of these grand works. Erika: Our other job is to dip into people’s passions. They might not even know that they have that passion but we help them articulate it and create physical space for it. Art can be the core. Rachael: The process of interior design is an artistic and creative process. The obvious form of art is the paintings that hang on the wall, but we as designers must think broadly about art. Constantly thinking outside of the box, I like to take art to another level. By utilizing our local art community and the talent in our backyard, I love to incorporate other mixed materials as forms of art. 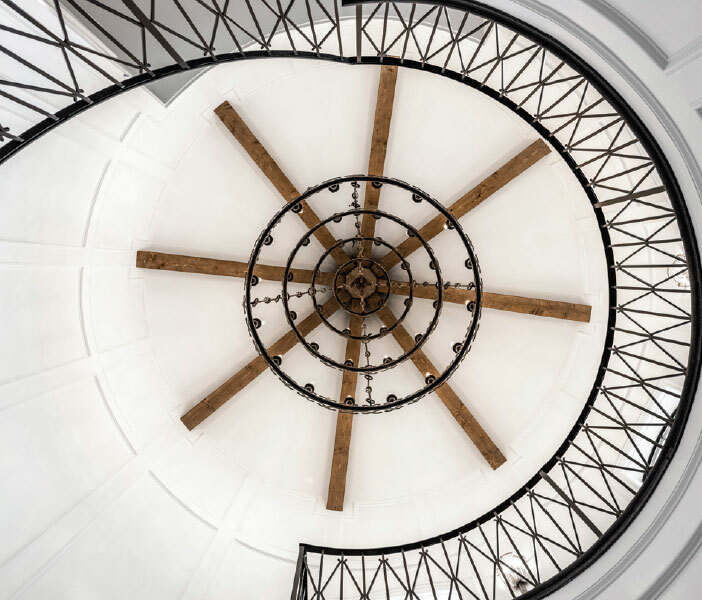 From elaborate floating staircases, to custom dining tables made of concrete and wood, all the way to glass sculptures, hand-selected wallpapers, and specialty lighting. All are forms of art to me. The art pieces… painting, sculpture, ceramics, lighting… may be the show pieces, but we as designers give it context in the home. + Is this place a re-creation of a 1950s motor inn? 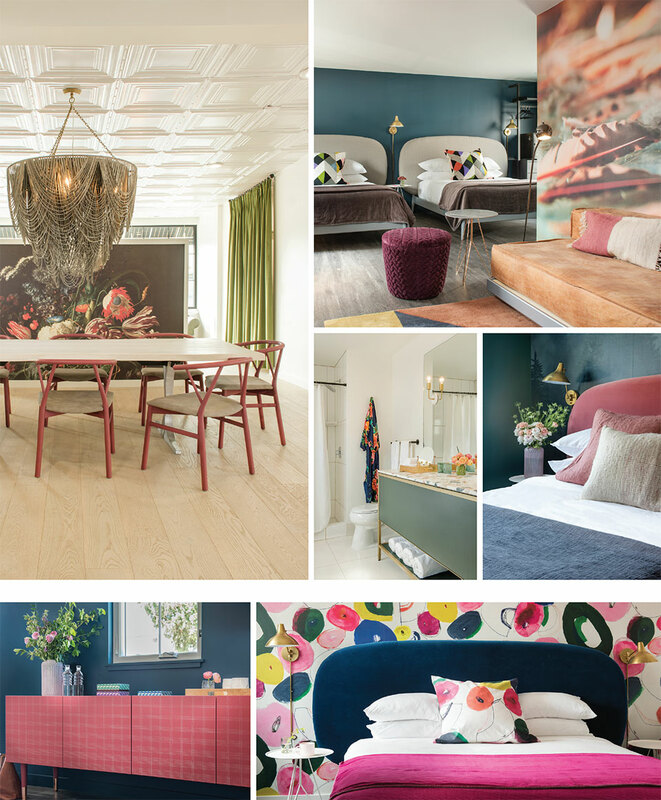 Or is it a super-hip, contemporary hotel? + Is that mid-century modern furniture? Or is it a recent import from Milan, Italy? + Does the pink theme create a predominately feminine feel? Or does the pink palette appeal to a broader audience? + Are the spaces designed for privacy and personal retreat? Or are they designed for openness and public engagement? 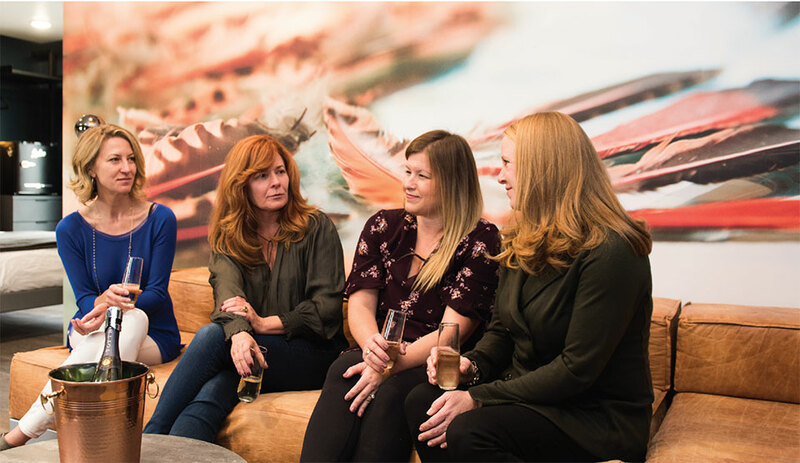 The Interior Design Round Table was hosted at the newly renovated RSVP Motel in midtown Bozeman. The designers and WHJ editor were struck by the property’s contradictions: The Folkvord sisters, Hillary and Haylee, the motel’s visionaries and proprietors, presented their interior design and architectural team with paradoxes to solve. 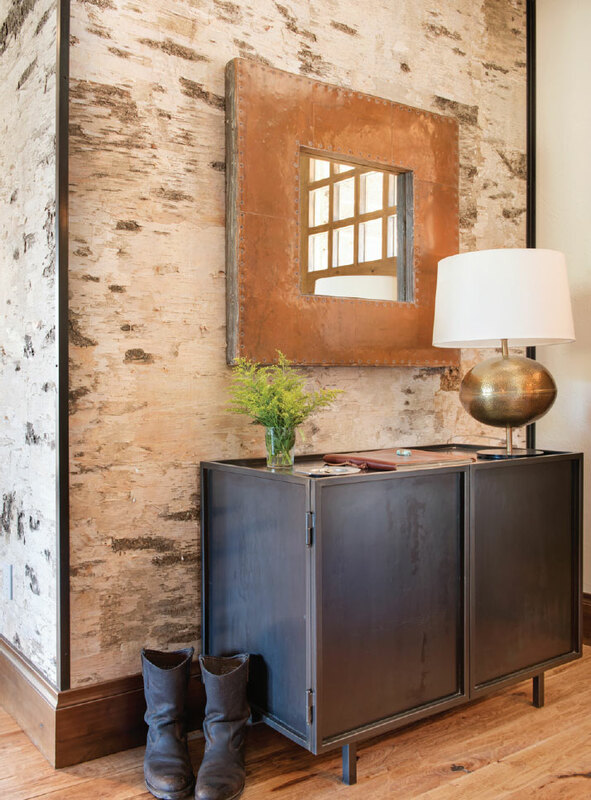 Abby Hetherington of Abby Hetherington Interiors and Lindsay Schack of Love Schack Architecture were the women Hillary recruited to solve these conundrums and blend these seemingly contradictory elements. When re-designing the property layout, café space, and individual hotel rooms, architect Lindsay Schack carefully balanced the need for privacy with the appeal of public space. The pool and hot tub remain in the center of the property and only steps from any guest room. Surrounded by a screen-block wall, bathers are sheltered from the traffic and neighbors while being part of the community of travelers. Some rooms offer both private back patios for some quiet time alone and front porches with comfortable chairs situated for conversation. The guest experience offers both a private retreat to relax and refresh as well as spaces to eat, drink, and socialize with others. The RSVP is the collaboration of an hotelier, architect, and interior designer. Together, they blend the old with the new, nostalgia with forward thinking, the private with the public, and the need for sleep with the need for activity. The result is an asset to Bozeman that will remain a landmark and destination for years to come.